The Museum of London is drawing on its rich 17th-century collections and historical expertise to create a unique and immersive virtual experience of the Great Fire of London using the videogame Minecraft. 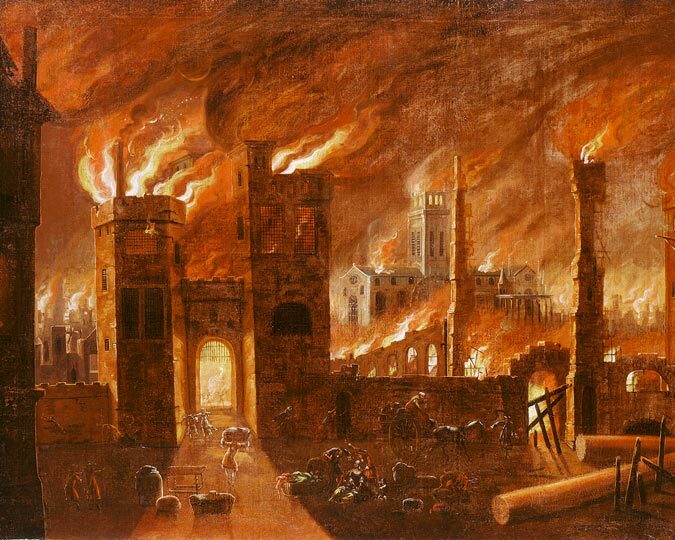 Titled Great Fire 1666, the game will allow the museum to tell the story of the Great Fire like never before, as players can walk down the streets of London, interact with the very people of 1666, combat the flames, and rebuild their own vision of the capital. It will be playable on both PC and Mac from 29 July 2016. The Museum of London is working with Digital Producer Adam Clarke, and Minecraft professionals Blockworks and Dragnoz to build three interactive maps released in three stages. The first map launching next week is based on Wenceslaus Hollar’s map of burnt London from the museum’s collection. Featuring notable landmarks such as London Bridge, the old St Paul’s Cathedral, and the infamous Pudding Lane, a treasure hunt across the city will give players the chance to explore the streets in search of audio clips, introducing gamers to the factors that played a crucial role in the events that unfolded, including the long dry summer, wooden houses, narrow streets, and the ways in which people lived. The second phase of Great Fire 1666, released in September 2016 around the 350th anniversary of the disaster, will take players through the start and spread of the Great Fire, from Pudding Lane to Pie Corner, as they take part in a series of mini-games to help evacuate residents, get stuck into fire-fighting, make crucial decisions and engage with famous figures from the time. The third and final stage of the game, released in February 2017, will see players creating and building their own vision of London, using examples of the architectural plans drawn up by the likes of Christopher Wren and John Evelyn. The first map will be available to download for free online at www.museumoflondon.org.uk from 29 July 2016.